One of the most senior church leaders in the UK will be consecrated as Bishop of Llandaff next month. June Osborne, who has served as Dean of Salisbury for the past 13 years, will be consecrated at Brecon Cathedral on July 15. 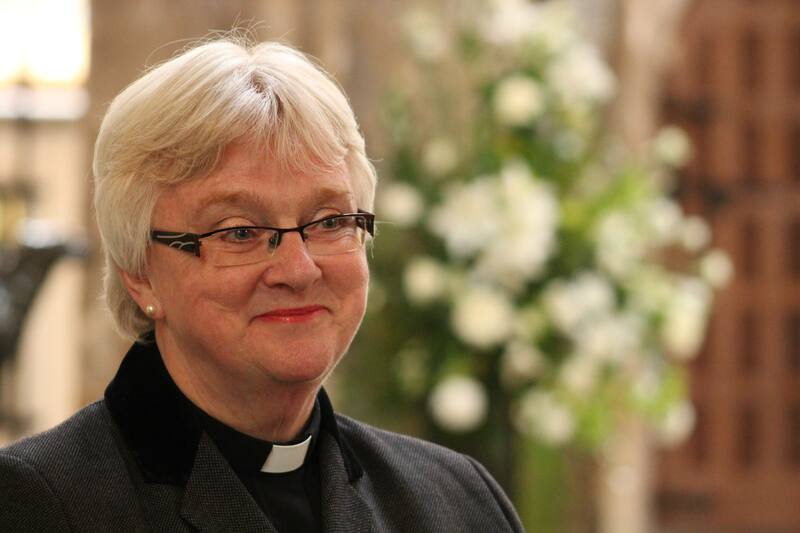 She was appointed as the 72nd Bishop of Llandaff in April by the Church in Wales’ bishops. The consecration will be held at Brecon Cathedral as the Bishop of Swansea and Brecon, John Davies, is the Church’s Senior Bishop. It will be the fifth time that a bishop has been consecrated at Brecon Cathedal. Bishop-designate June will be led into the Cathedral by a procession which will include clergy, bishops, diocesan registrars and chancellors, canons, and members of the Church’s Governing Body and Electoral College. Bishop John and 24 other bishops present, from Wales and other countries, will consecrate the new bishop.  She will be anointed with the oil of Chrism and be presented with the symbols of office – the episcopal ring, pectoral cross and mitre, as well as a Bible and a pastoral staff. The address will be given by the Bishop of Salisbury, Nicholas Holtam, and the Gospel will be read by the Bishop Katharine Jefferts Schori, former Presiding Bishop of the Episcopal Church of the USA, who was the Anglican Communion’s first woman primate. Choristers and Lay Clerks from Salisbury Cathedral will join Brecon Cathedral Choir to sing at the service. Bishop John said, “This service will be a wonderful celebration of faith and hope for the future as we consecrate June as bishop and welcome her into the family of the Church in Wales. I am sure everyone will welcome, support and pray for her as she begins this new stage in her ministry. Due to limited space, entry to the service, which begins with a procession at 2.15pm, will be by ticket only. A collection will be taken for Christian Aid’s work in South Sudan. 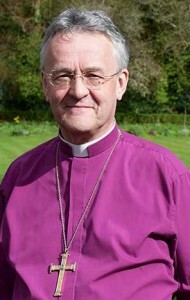 Bishop June will be enthroned at Llandaff Cathedral a week later at 11am on July 22. 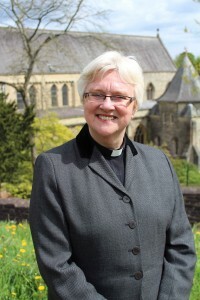 Her election as Bishop of Llandaff will be confirmed at a Sacred Synod meeting during Choral Evensong at Brecon Cathedral on July 14. The service starts at 6pm. Brecon Cathedral hosted the consecration of three bishops while Llandaff Cathedral was out of use for major services following its devastation during a World War Two bomb raid. A ground-breaking figure in the Church of England, June Osborne was the first female Dean to be appointed to a medieval cathedral, having served as Salisbury Cathedral’s Canon Treasurer for nearly 10 years. She has been active in the national life of the Church of England, serving for many years on General Synod’s Standing Committee, including sitting on the Panel of Chairs. 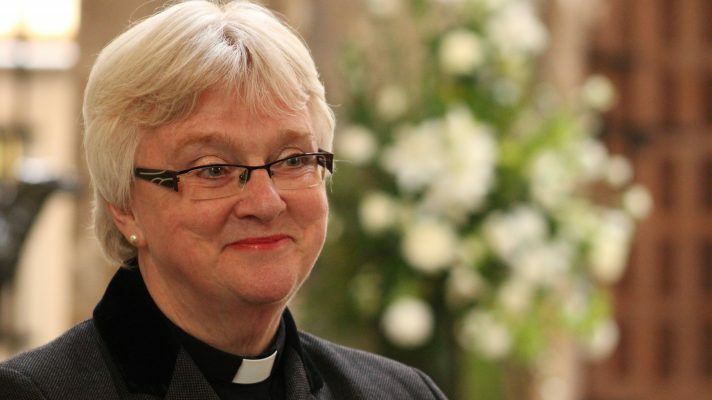 One of the first women to be ordained as a priest in England in 1994, having been a Deaconess since 1980 and Deacon since 1987, Bishop-designate June’s ministry has been characterised by her passion for equality and diversity and she was a founder of the Church’s Leading Women programme. She is also deeply concerned about global poverty and has worked with the Episcopal Church of South Sudan on health, theological education and advocacy. She continues to play a key role in the Anglican Communion’s commitment to implementing development goals, and is a member of the Government’s Advisory Panel for the Commemoration of WW1. A graduate in Social Sciences from Manchester University, Dean June trained for ministry at St John’s College, Nottingham and Wycliffe Hall, Oxford. She was made a Deaconess in 1980 and served at St Martin-in-the-Bullring in Birmingham before moving to the Old Ford parishes in East London in 1984. Following her ordination as a priest she served as Canon Treasurer at Salisbury Cathedral and was Acting Dean of Salisbury for two years before being appointed Dean in 2004. Bishop-designate June is married to barrister Paul Goulding QC and they have two children, Megan and Tom. Her interests include the arts and sport. A lifelong supporter of Manchester City, she is looking forward to following Cardiff City, watching rugby at the Principality Stadium, and enjoying being close to the WNO. This was posted on 29 June 2017 and updated on 17 July 2017.